#11 Shown below squash cultivar Rouge vif d'Etampes (Cucurbita maxima) is known fans of the English-language pumpkin perhaps more as 'Cinderella Pumpkin', the pumpkin Cinderella ( since the appearance is most similar to the supposed kiopciuszkowej carriage;) ) French Rouge vif d'Etampes I buy it more for decorative qualities than flavors, because its pulp is not exactly the most interesting. The fruits are round and strongly flattened, the flesh is yellow-orange. It can be stored for up to 3 months . 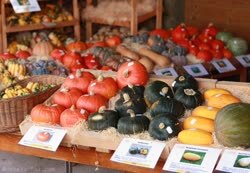 #13 But the pumpkin, I buy regularly, is delicious Italian Marina di Chioggia (Cucurbita maxima ), with excellent quality pulp. This is a rather late variety, which needs relatively much heat, not in every climate, so it gives good yields. The fruits are quite large, on average up to 8 kg (the one in the picture weighs almost 7.5 kg). It can be stored for approx. 4-8 months. 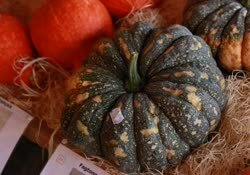 #14 Another pumpkin that guests with me every year, is a blue-gray Jarrahdale (Cucurbita maxima) , growing in Australia, New Zealand and South Africa. 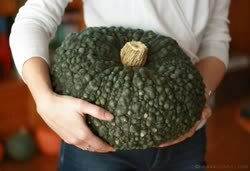 It is a very pleasant pumpkin, with a dense orange flesh; great for casseroles, tarts or soups. It can be stored for 5 to 9 months. #15 Following the Blue Kuri (Cucurbita maxima) , is a highly appreciated the Japanese variety (also called 'blue Hokkaido'). The fruits are green, slightly flattened. Orange flesh, slightly floury, very good quality. You can store it for around 6 months. #16 Papaya Squash , which I bought at the beginning of October, probably arouses in me the fears, because it looks more like a pasta pumpkin than papaya;) This weekend I will see how the interior really looks like (and of course I will inform you about it ) Theoretically, Papaya Squash (Cucurbita moschata) is a green-yellow pumpkin, speckled, papaya-like shape (later, during ripening, the fruits become more beige). The pulp is orange, quite compact, slightly sweet. It can be stored for approx. 5 months. #17 , Cotton Candy (Cucurbita pepo) is a relatively young variety on the market. The fruit is medium-sized (from 2 to 5 kg), round, spherical. The skin is white / slightly creamy and the pulp is yellow. It can be stored for approx. 4-5 months. 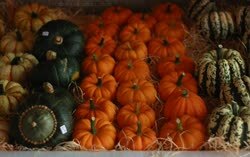 #18 And the last of this year's 'new products' - the American variety Mooregold (Cucurbita maxima) . The fruits are round, slightly flattened, orange. The pulp is dark yellow, compact, slightly floury. It can be stored for approx. 6 months. 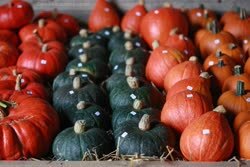 #19 Flat White (Cucurbita maxima) - one of the best pumpkins from South Africa, with a very good quality dark orange flesh. It can be stored for approx. 4-5 months. #20 Hungarian variety Nagydobosi Sut�t�k (Cucurbita maxima) , exceptionally tasty. Gray-blue fruit weighing from 4 to 9 kg, yellow-orange flesh of very good quality. You can store up to 7 months, in optimal conditions even longer. 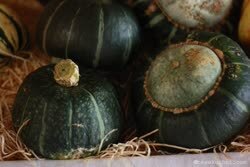 #21 Japanese Yukigeshou (Cucurbita maxima) , needing a lot of heat, very productive. Fruit slightly flattened, gray, 'flecked', dark yellow flesh, rather dry, very good quality. It can be stored for up to 8 months. #22 Baby Blue (Cucurbita maxima) . 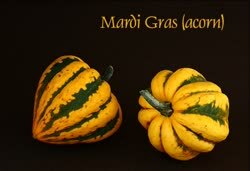 American variety, small size pumpkin (max. 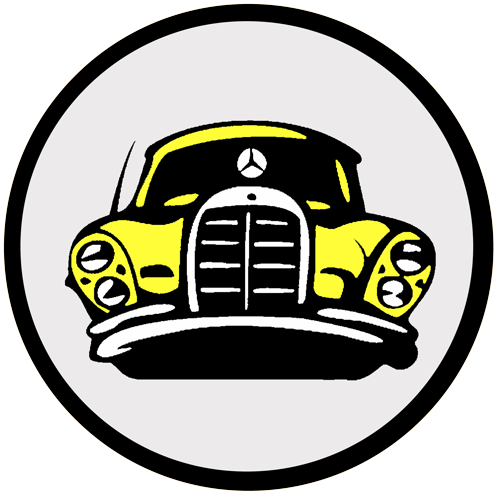 1.5 kg). It can be stored for approx. 6-7 months. #23 Chestnut (Cucurbita maxima) is a former Japanese variety. Flesh yellow-orange, nutty flavor. It can be stored for 6 to 12 months. 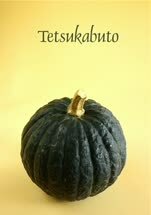 #24 Japanese pumpkin Tetsukabuto is a pumpkin unique for many reasons. First of all, this is the only species formed from the cross between two different pumpkin families: cucurbita maxima (giant) and cucurbita moschata (musk) and more specifically from the pumpkin cross , Delicious , from , Futsu Kurokawa ' . This variety is very resistant to all diseases and additionally generates fruit. Broken pumpkins can be stored without problems for up to a year. It is especially recommended for dishes that require long baking (as a whole), because it has an extremely 'resistant' skin - which prevents the pumpkin from cracking during baking ( for this reason it is also called 'iron pump';) ). If you have the opportunity, try it necessarily, because it is really unique in taste. 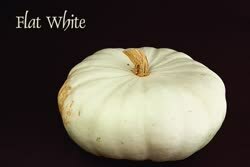 #25 Orange Dawn (Cucurbita maxima), is a relatively young variety with good quality, nut-chestnut flesh. Fruits quite small, weight about 1 kg. It can be stored for approx. 5 months. #26 And again, small, cute :) Kamo Kamo (Cucurbita pepo). These small fruits (up to 1 kg) are ideal, for example, for stuffing and baking. It can be stored for approx. 4-7 months. 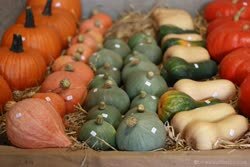 #27 As every year, there were also a few pieces of Delicata pumpkin (Cucurbita pepo) in the house ; as the name suggests - a pumpkin with a very delicate flavor, making it also great for preparing dessert dishes, ice cream, preserves. The best are these freshly broken specimens, because after about 3 months the pulp of Delicates becomes quite 'floury'. #28 And Mardi Gras . As in the above Delicates - a delicate flesh with a slightly nutty flavor. Best up to 3 months after harvest. 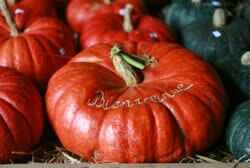 #29 Winter Luxury (Cucurbita pepo) , is one of the more interesting pumpkin varieties. Pulp with extremely unique, delicate and subtle flavor. It can be stored for approx. 4-6 months. 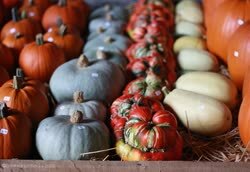 #32 To this several colorful Acorn pumpkin (Cucurbita pepo) ; These pumpkins are often used for stuffed and baked dishes, and their pulp has a delicate hazelnut flavor. Most often they are green (like the one on the right in the picture, here specifically Tay Belle ), but we can also find varieties of yellow, cream, orange or 'speckled'. This 'speckled' is a variation of Festival , delicate and very pleasant in taste. Orange is Table Gold , taste reminiscent of corn. Great especially raw. And beige, in turn, is Thelma Sanders Sweet Potato ; here is also called pumpkin 'r�sti' because from her grated pulp you can prepare very tasty r�sti just :) Delicate, slightly 'potato' in taste, you can keep it for about 5-6 months. 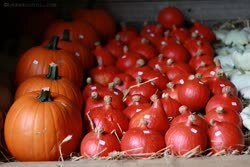 #34 Uchiki Kuri / Red Kuri , usually called Hokkaido pumpkin(Cucurbita maxima). Dark orange peel and a very orange, dry flesh with auburn flavor. 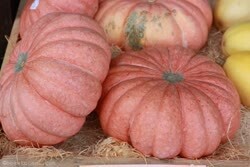 It is an extremely valuable pumpkin due to the high level of vitamin A and carotene. It can be long-termed, which additionally increases its nutritional value. Pumpkins from this family do not have to peel from the skin, which is their additional advantage;) provided, of course, that we wash and scrub them thoroughly before use.